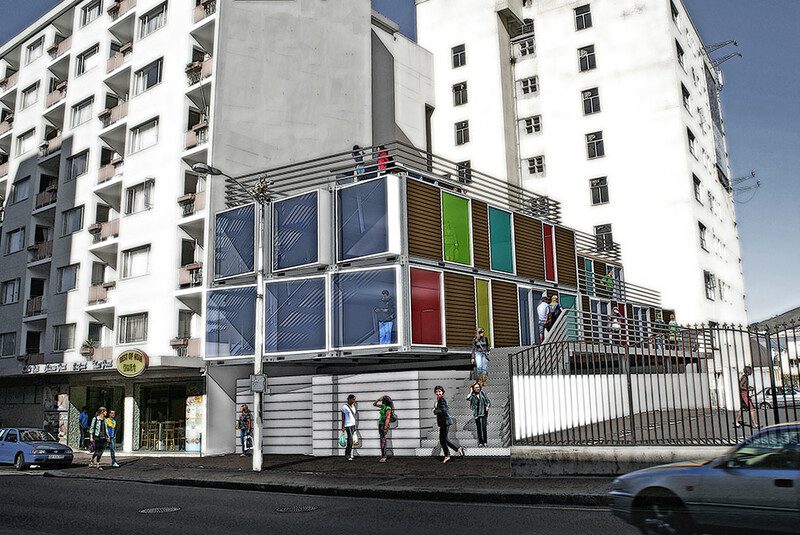 The site for this project is located at the intersection of Cape Town’s vibrant Kloof Street and historic Long Street. At 27m x 9m, the site is too small for conventional building methods. 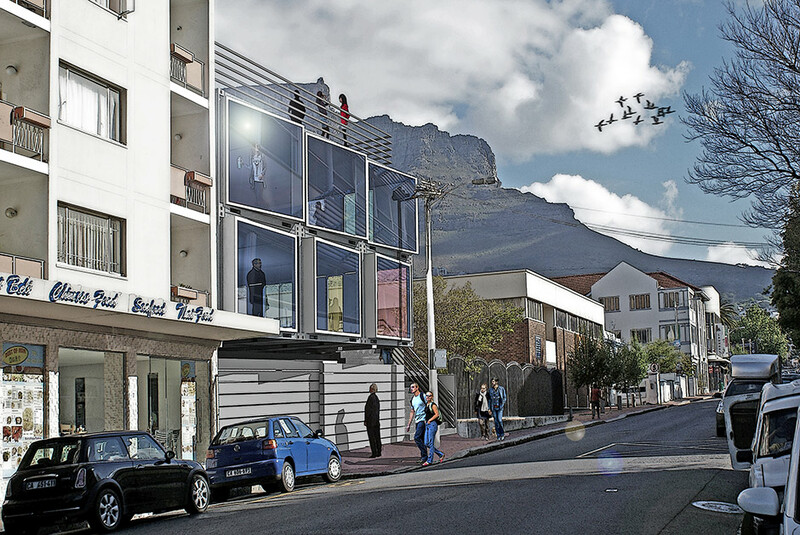 The design strategy is to extend the vibrant street edge into the building. Pedestrians and visitors are drawn into the building by a ribbon-like route that leads them up a wide staircase over the ground floor parking, up two floors of boutique shops until they reach the roof deck with a coffee shop and a panoramic view over the city. 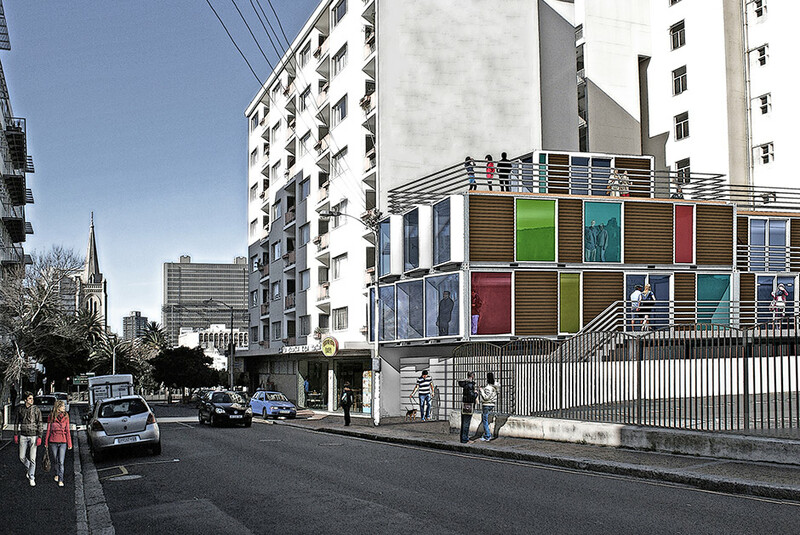 To speed up construction and reduce costs, the 12 units are pre-fabricated off site and craned into place on the constrained urban site.